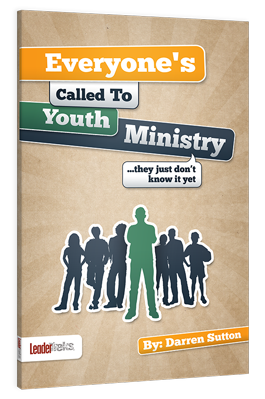 Everyone's Called to Youth Ministry – …they just don't know it yet! Sabbath Days Are a Joke! The passage goes on to prescribe rest, cessation from work, and family dynamics as key components to keeping this commandment. So why is it most youth workers start their Sunday breaking this commandment before they even get out of bed?! What most consider a Sabbath is, for obvious reasons, a work day for every pastor on the planet. And even when another day is identified as a potential day off, the Sabbath portion of that moment is often derailed by responsibilities that have been necessarily avoided throughout the week. Lawns still have to get mowed. Groceries still need to be purchased. Houses must still be cleaned. Over time, I’ve recognized that a full day of Sabbath simply doesn’t exist in my life. The best way I can honor the commandment while still keeping my head above water with all the other responsibilities I shoulder is by finding Sabbath moments and fighting for them with all my might. Here are a few I have identified in my life. What might yours be? Our family attends worship together. No matter what. Katie and the boys don’t schedule volunteer opportunities during that time. I make every attempt to keep my ‘official’ responsibilities to a minimum during that time. (Sometimes that means joining my family late or leaving service early, but I’m still there!) Before our church had multiple services, it meant having someone else kick things off in the youth room while I spent a song or two in the worship service with my wife and kids. It’s a Sabbath moment. I guard potty time. No lie. It’s not typically that difficult since my family doesn’t want to participate in that activity with me, usually. It’s a guaranteed moment of privacy that virtually insures some uninterrupted time with Jesus (because he doesn’t mind sharing that time with me!) It’s a Sabbath moment. I lose myself in car worship. My typical commute to work is less than 20 minutes. I try not to engage in calendar assessment, practice runs at phone calls, or writing virtual e-mails in my head. I’ll have to do all that soon enough – and trying to complete it in my car is futile since I’ll have to repeat most of it ‘in real life’ when I get to the office anyway. So I’m the guy belting it out at the red light that you and your family are probably making fun of on any given day. It’s a Sabbath moment. I sit someplace weird. By that, I mean I don’t stay chained to my desk the entire week. I’ll hang out in the student center. I’ll office from a local coffee shop for a few hours one morning. No lie – once it was in the coat closet in the lobby of the worship center. I sit somewhere that forces my brain and heart to disengage from ‘tasks’ for a few minutes. It’s a Sabbath moment. There’s an attitude of Sabbath that supersedes the hands of the clock. So whether you can find 24 hours or just 24 minutes – find them. Sabbath matters. It was important enough to make it to the tablets. Make it important enough to land on your calendar somewhere. For more tips on how to manage a hectic life, check out the all-new youthministry.com this week! Author Darren SuttonPosted on November 29, 2016 November 23, 2016 Categories General Youth Ministry, Spiritual DevelopmentTags rest, sabbath, time off, vacationLeave a comment on Sabbath Days Are a Joke! I do know this: 2014 existed to get me to 2015. And while I may not understand every step, I see so very clearly the hand of God. And it’s funny….how in the midst of it, we might not even be sure God is noticing. But He’s orchestrating every step. 2014 has been an adventure, to say the least! The beginning could never have predicted the end! My eldest graduated from high school and moved away to college. After nearly three years of un or under employment, God opened the right door for us. We moved our entire family from Texas to Arizona. I fell into a writing opportunity for a little movie called God’s Not Dead, which has led to some other amazing prospects. And probably about 126 other things I could recount if I journaled. But I don’t. So there you have it. “What’s so funny about that?’, you ask? Somewhere in the past 10 years, I lost my way. Lost myself. Forgot who and whose I am. I think maybe life does that to you over time. I began to equate my self, my soul, with what I do…not who I am. Consequently, when I no longer ‘was’, I had no idea who I ‘am’. 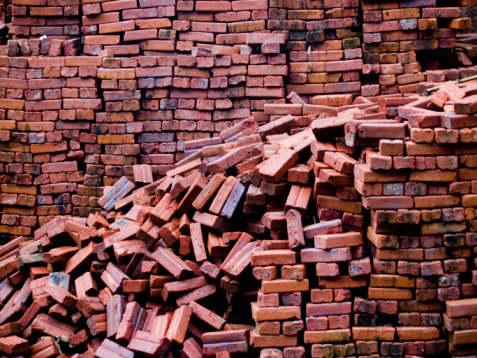 And it was a rough journey to struggle out from under that fallen brick wall – for me and for those around me. And to be thoroughly honest, I’m still a little flattened. But as I shake the dust off, tend the wounds left behind, and assess…I become so much more aware of how God – in the way only God does – has orchestrated every step to bring me to this very moment. I still don’t understand all of 2014. I haven’t yet discerned why it’s so hard to watch my boys grow up. I’m puzzled at why the transition to a new church and a new state has seemed harder than I thought it would be when God is so very obviously ‘in it’. I still don’t get HOAs or the allure of a gated community, though I completely understand it’s a lot nicer than a pool you have to mow! I love it when He does that. And I am excited to abandon pool-mowing for the foreseeable future! They Loved Me – They Really Loved Me. 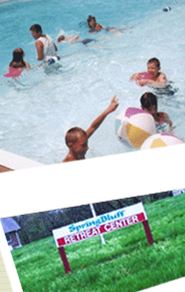 I spent a week at 5th and 6th grade camp. I think I’ve done that almost every year since I WAS a 5th and 6th grader. As I walked down the hill from my cabin last night, I could hear sponsors trying to call the kids to order; trying to herd those cats into their respective cages. And just like that, I was transported back to Spring Bluff. The ringing of the bell meant it was time to head to the next thing. And the flashlight of Brother Bill signaled how much trouble we were in for being out of our cabins! Brother Bill – a true saint departed – roamed those grounds all night with his flashlight…sometimes masquerading as the pitching mound on the baseball field as the moon reflected from his rotund, white T-shirt clad midsection. He roamed because he loved us. Mitch and Cindy – our ‘parents’ in almost every sense of the word – allowed us each a small glimpse of a healthy happy family, whether we needed it or not. They laughed with us. They cried with us. And now that I’m a youth pastor, I know how much they prayed for us. They prayed because they loved us. Larry, Julian, Burt, David, and 100 other partners in crime – my youth group ‘posse’ – tolerated, tortured, and sometimes teased….more than any of us ever should have. And we listened to each other. We listened because we loved. And that small, round older lady – our ninja grandma whose name I cannot recall but whose face I still see clearly – made us clean our own tables, do the dishes again if we did a bad job, threatened us with a wooden spoon when we needed it, and treated every condition we ever had with water, band-aids, patience and a fierce kindness. She bossed because she loved. I don’t remember a single camp theme. I no longer have any of the awards I got (not even Mr. Underpants…or whatever it was.) I can’t even remember how many times I went to church camp as a kid. What I do remember? Those people loved me. THEY changed my life forever. Because they loved me. And when you spend a week at camp, you become a lover who changes lives. Never forget the role you play…it can rewrite legacies. 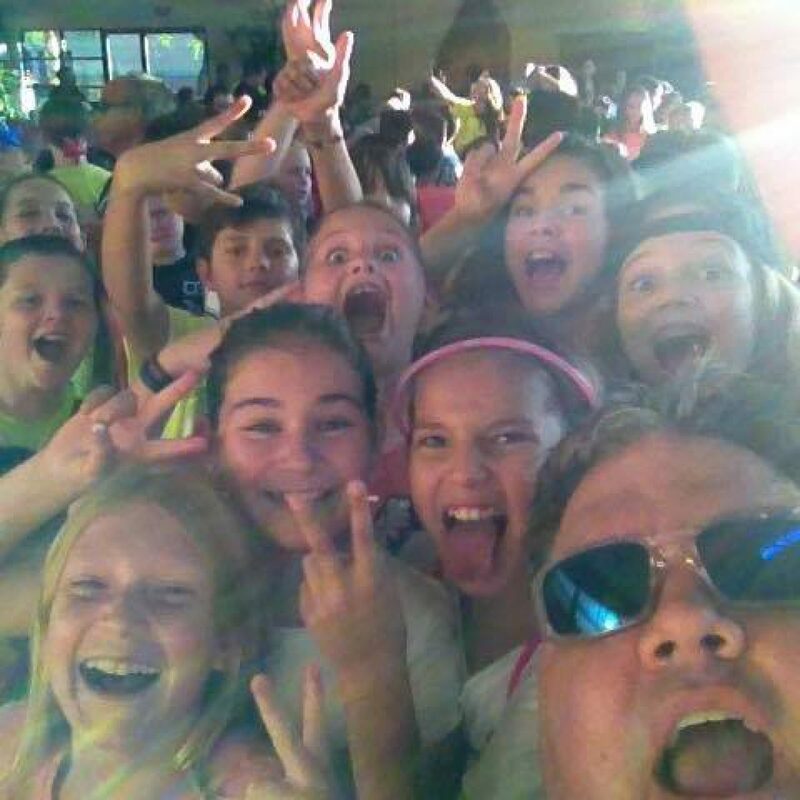 Author Darren SuttonPosted on July 11, 2014 Categories General Youth Ministry, Spiritual Development, Teenagers, VolunteersTags camp memories, invest, kid ministry, love, preteens, spring bluff, volunteer, youth camp, youth ministryLeave a comment on They Loved Me – They Really Loved Me. So I got some smack talk today for letting my blog sit silent for too long. Maybe some of you haven’t been hipped to the latest developments in the Sutton Saga. We moved! In May, I accepted a ministry opportunity with Cornerstone Church in Chandler, AZ (near Phoenix.) We watched our oldest son graduate from high school in Texas, my wife quit her job, my kids had multiple ‘good-bye parties’, my senior went to prom, we packed our entire house, left about 1/3 of it on our front porch for scavengers when it wouldn’t fit in the moving truck, and moved to Phoenix in the summer…where our air conditioner didn’t work, none of the hardware for our furniture made the trip, and me and my three sons left for high school camp 14 hours away after two days of not living in our non-air-conditioned house. Here’s the truth. Transitions are hard – it doesn’t matter how smooth or heinous they are. 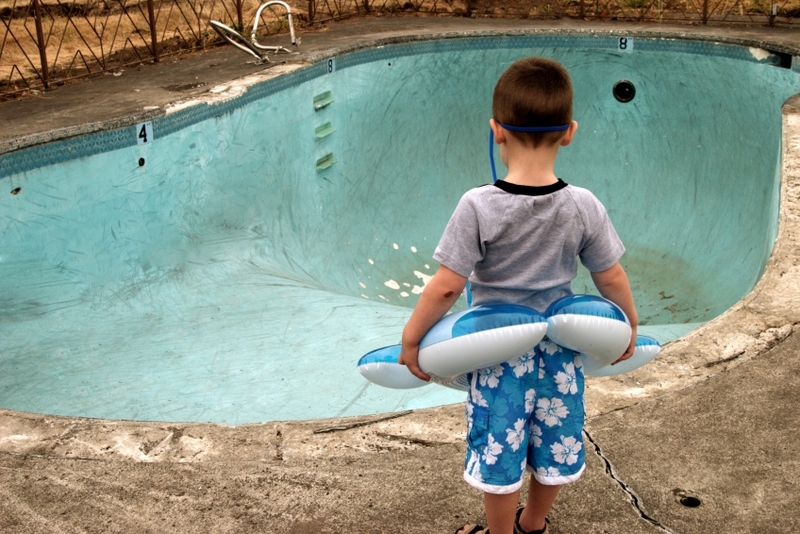 You have students that are about to LEAP into transition head first, possibly with little to no water in the pool. You can’t stop it – they’re already off the springboard. Maybe they’re headed off to college. Possibly their folks are separating. Or someone has died. They’re sprinting into rehab, but dragging their feet the whole way. Perhaps they’re just moving into your high school ministry from junior high. It doesn’t matter which diving board they’ve leapt from – they’re in the air and concrete awaits their re-acquaintance with gravity. What do you do? First, recognize that a crash is imminent. You can’t handle that disaster alone. Call in reinforcements. Find caring adults who will join you in loving and caring for kids in crisis –or transition – you say tomato…. Next, have some first aid readily available. Take a few of those kids out for a coke. Have some verses at the ready and write them down on this thing we call a notecard. Send them some encouragement in a non-traditional, unexpected way. Finally, remind them that seasons of transition don’t last forever. Pools get refilled with water and they become fun again. Just like those weird glasses that turn into sunglasses that go back to being real glasses…adjustment comes. Light filters back in. Everyone sees more clearly. Don’t run the risk of thinking ‘well now that they’ve hit the bottom of the pool, it’s over.’ No – it’s not. Transition takes time. It’s painful. It can be revisited. And, if ignored, it can be deadly. You’re the life guard. Everyone blogs the cute-sey on Mother’s Day. Know what I mean? “Mom’s have the hardest job on earth – taxi driver, pediatrician, personal assistant, chef….blah, blah, blah.” Seriously? Have you ever seen a REAL mom, people?! Those silly little job titles – bestowing expertise on our over-worked, under-appreciated moms – do not remotely describe who they really are on any given day. So how about this? Your mom’s actually a father….a Godfather. At any moment she saws off the head of an unsuspecting horse using only her wooden spoon. She makes up the bed with perfection and a subtle reminder to ‘the boys’ that they better remember who they’re dealing with. Mom’s probably a mob boss. Except instead of wielding an automatic weapon under the table as we ‘make the drop’, she needs nothing more than a shoe – and when that thing fires, there’s no recovery. She’s a cleaner….but not in the way you think. I’m not talking Dysons and SoftScrub. I mean not even a trace of DNA evidence. Someone has to know how to get Orange Crush out of a beige carpet. And if it’ll work on that little carbonated wonder, is there any doubt what she can do with blood spatter? Think ‘The Closer’ for just two seconds. If you’ve ever been anywhere in a vehicle with your mom in the front and all your siblings in the back, you know what I’m describing. She can settle a debate without knowing any of the finer points of argument. She can shut down a fight with a mere glance into the rear view. And with a single word, she becomes judge, jury – and if need be – executioner. And you listen – because you aren’t entirely sure she WON’T turn the car around. And if she ever does, where would your body end up? So please, people. Let’s stop honoring mom with flowers and candy a blog posts about how girly-wonderful she is. Mom’s a force. She’ll kick your soccer ball and watch you cry – she won’t apologize – and you’ll be better for it. And I would like to take this small opportunity to say thank you to my wife. 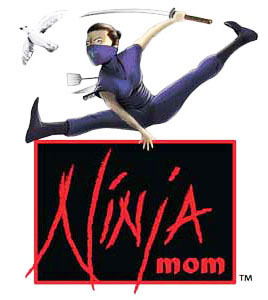 She has always been the Chuck Norris of moms – our boys are fortunate. Betty Crocker can stay home today. Katie’s on the job. I bet your mom is, too. Last week, I confessed. Sometimes I find worship music in some unlikely places. I was on my way home from a business trip. I’ll never forget it. Though the trip had been primarily about work, I had found some time to introspect and meditate on some ‘snags’ that I have fought to free myself from for years. As I was praying through some of my new found enlightenment, this song came on my iPod. I threw it on repeat and listened to it all the way home – a two-hour flight. Sometimes we carry weight that isn’t ours to hold. And it can be as simple as telling it to move on. (Matthew 11.30, Matthew 17.20). I listen to this song at least once a week to remind me – those issues, hang-ups, and inner-voice tracks I continually listen to – they don’t belong here anymore. And I worship. Thank you Jennifer. Thank you Jesus. Music. It just speaks my language. 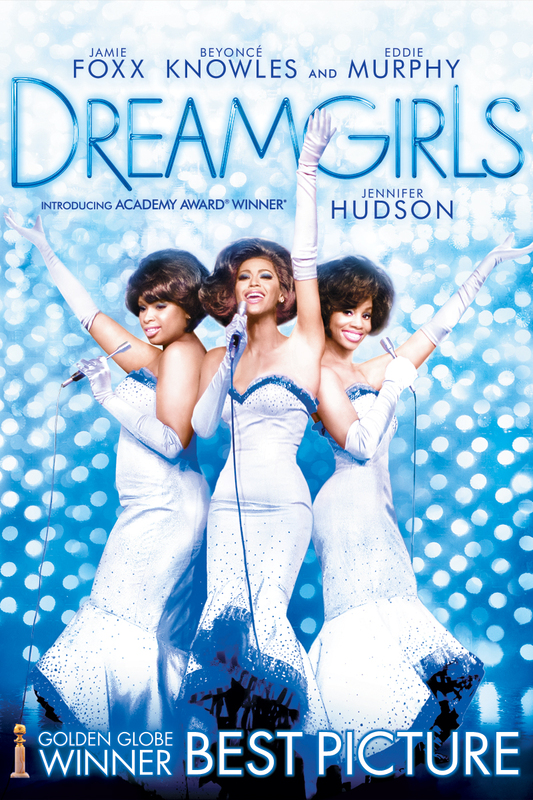 It doesn’t matter if it’s good, bad, genre-specific, or disdained by the rest of the world. It always has. I’m a child of the 80’s – music was a secret code. And we lived and died by lyrics we couldn’t even sing because they were unintelligible. Because of that – and the fact that I’m just weird – I find worship in some weird places. So I’m starting a new Wednesday blog series until I run out of music or something shinier catches my attention. It’s the first of some…weird worship Wednesday. Welcome to my world. I decided to post this one first because I knew how much my boys would despise that I even have this on my iPod. It’s OK – I can take the scrutiny of my peers AND my children. “Everything will be alright if You keep me next to You.” This life. Ugh. There are days when it just feels heavy. Truth be told – sometimes God is so silent, I wonder if He’s stopped speaking to me. But even on those hard days, as long as Jesus is hanging on to me (and more importantly, I’m hanging on to Him), I’m alright. He has me right next to Him – like a Dad crossing the street with His toddler. I have to remember not to wrench myself free from His grasp. “It feels like one of those nights – we ditch the whole scene and end up dreamin’ instead of sleepin'” Oh, how I love this line!! One of the most profound joys I have is dreaming about youth ministry with Katie. After 26 years of doing ministry, there have been moments where I was on auto-pilot…getting done what I could do because I knew how to do it. But the BEST times have been stepping outside that realm of ‘ministry sleep’ and dreaming all the ways God could reach His hand into the families we meet!! I still love that part! It’s when the hand of God is most ‘real’ to me. “Everything will be alright if we just keep dancing like we’re 22.” Twenty-two. I had just married my best friend in this whole world after four long years of chasing her down. We moved cross country with a U-Haul and first month’s rent – no jobs, no emergency fund, no family…no safety net of any kind. We were living on love and faith…and it was decidedly terrifying and terrific. But life started moving and we somehow became distracted by all the things in our peripheral vision. Our strongest, most solid days as a family, have always come when we kept dancing like we were 22. This journey is a faith journey – and most of the steps we take are along a path where the future is unclear. Sometimes, even the next step is a hazy one. And it’s always OK – because though the steps can seem unclear, the future is never uncertain. “You don’t know about me – but I bet you wanted to.” OK….maybe not. I told you…weird worship Wednesday. Wait ’til next week. You ain’t seen nothin’ yet. Thanks, Taylor…for pointing me to Jesus in some weird way.